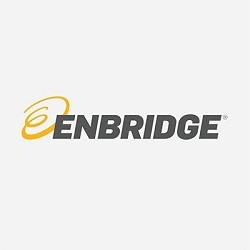 Yesterday the Board of Directors of Enbridge Inc. announced a quarterly dividend increase of from CA$ 0.61 to CA$ 0.671 per share that’s payable March 1, 2018 to holders of record February 15, 2017. The declared dividend represents a 10 percent increase from the prior quarterly rate and the twenty-third consecutive year in which the Company has increased its common share dividend. With current price CA$ 45.75 (yesterday's close), this raise brings their dividend yield to 5.87%. Since I own 285 shares of ENB, this will increase my portfolio's projected annual net dividend income by CA$ 51.81. That increase rises my YOC to 5.55%. Woot woot thanks hawk. My biggest holding. I saw enbridge income fund boosted theirs but didnt know about this. Sweet!